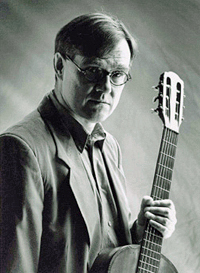 Jukka Savijoki studied the guitar at the Sibelius Academy and with John Duarte in London. Since his début at the London Wigmore Hall in 1977, he has performed around the world as a soloist and as a chamber musician with numerous renowned ensembles. Savijoki is equally interested in contemporary music and the classical guitar repertoire. As a member of the Cluster Ensemble, he has premièred many works by leading contemporary composers. In 1990, Jukka Savijoki was awarded a five-year scholarship from the State of Finland, being the first guitarist in Finland to be granted such a scholarship. In 1997, he completed at the Sibelius Academy a Ph.D. dissertation on Viennese guitar music of the early 19th century, including an extensive study of the guitar works of Antonio Diabelli. Jukka Savijoki currently acts as a senior lecturer at the Sibelius Academy.